Call: 520-977-3207 "We Put Crates Around Everything"
Caseworks Crating and Shipping provides professional comprehensive freight shipping services to the greater Tucson Arizona area. We are a local shipping company, centrally located near downtown Tucson. 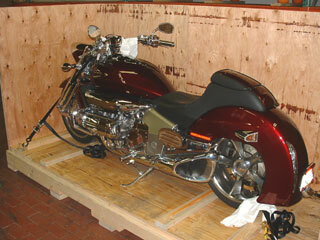 For commercial, industrial and personal freight shipping, we provide a custom and complete transportation solution. Whether shipping freight by ground, sea or air, let us handle the logistics of your domestic or international shipment. Contact Caseworks with your shipping requirements and receive a prompt quote from a trusted local Tucson freight shipping company. 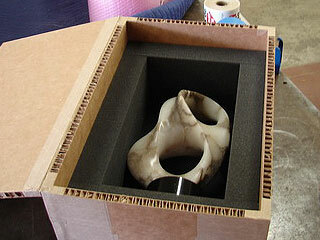 Caseworks can pack and ship almost any item to and from Tucson with the exception of hazardous materials or items prohibited by law. Our professional and knowledgeable local Tucson staff has experience packaging and shipping a wide variety of items including but not limited to: artwork, furniture, antiques, large appliances, televisions, office equipment, motorcycles, aviation equipment and industrial equipment. Ship domestic and international. 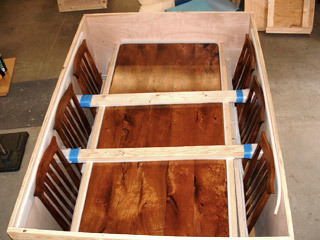 See our crating and shipping gallery for a sample of some of the items we have packages. 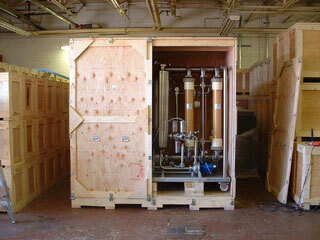 We create a customized packing and shipping solution for the unique needs and requirements of each Tucson customer. For Tucson and surrounding southern Arizona areas, we can pick-up your items and bring them to our local Tucson facility where we will prepare them for shipment. 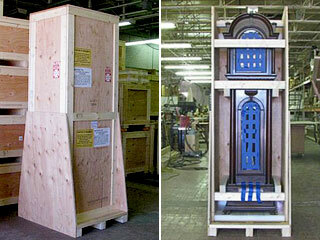 We will package your item as required whether they need to be boxed or if needed, we can build a custom pallet or crate to fully secure your item for a safe shipment. As part of our Tucson logistics services, we will facilitate all required paper work for both domestic and international freight. We can also procure any additional services that may be required. You can feel more confident when you ship with us, knowing that Caseworks Crating and Shipping is a fully licensed and bonded local Tucson, AZ shipping company, license number MC-527608-B. 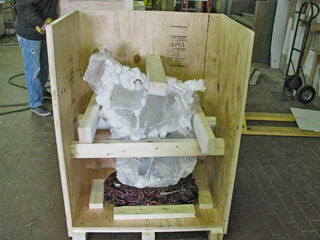 We ship commercial freight, large industrial cargo, and personal packages to domestic and international destinations. Our ultimate goal is to earn your respect, trust and future shipping business. Use our online shipping request form and receive a prompt professional and competitive shipping quote. For even faster service in Tucson, call us directly at 520-574-1000 during normal business hours, or 520-977-3207 nights and weekends. A division of Caseworks Industries, Inc.